Narrative designer Rachel Noel tweets “Heeeeyyyy remember how there was going to be a skeleton crew staying on for a while and I was part of it? Nah, jk, we all just got laid off, too.” Telltale has not offered an official statement on the situation, though it’s unclear whether there’s anyone still at the studio who could offer such communication. Noel tweeted on September 25 that she was part of the small group that had remained at Telltale, adding both that “I am furious with how my now ex-coworkers were treated” and “I’m next.” Early reports suggested that this group would finish The Walking Dead: The Final Season, though later it seemed they would instead see a Minecraft project with Netflix through to completion. Now, neither release seems especially likely. 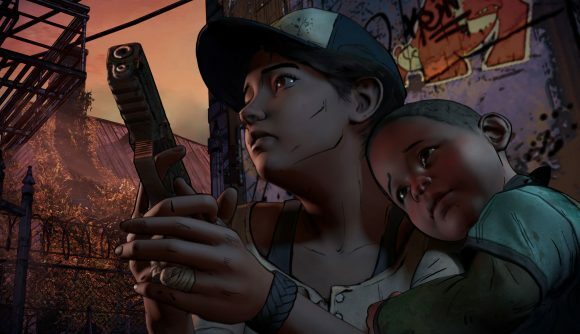 The Final Season isn’t cancelled yet – at least not officially – and Telltale is reportedly in talks to hand off development to an external studio, which would in turn offer contract work to former members of the development team. The state of those talks (which, again, were never officially confirmed) is unknown following this news. Even if there’s a bit of humour in the Blade Runner reference, Telltale’s closure has been grim not just for the 200-plus affected employees, but for the industry as a whole. Game Workers Unite had harsh words for studio management following the surprise layoffs. The AsAGamesWorker hashtag has seen many in the industry calling for better working conditions across the board following the closures of Telltale and Capcom Vancouver, and many others over the past year.